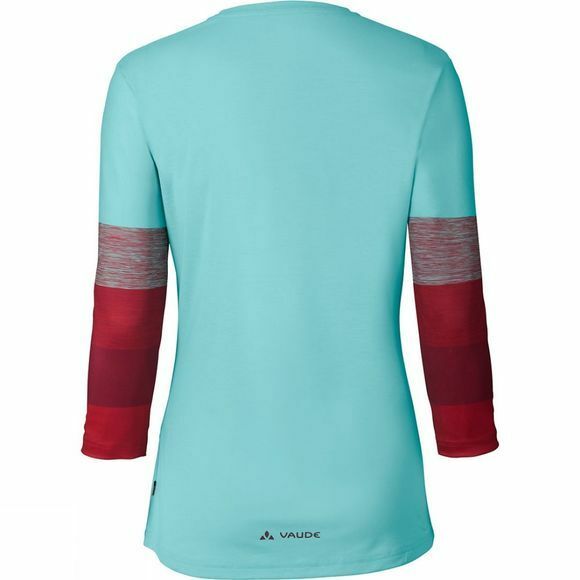 Show your cycling colours with this casually cut Womens Moab Long Sleeve Shirt made from lightweight stretch material. Lets you take on endless trails under your spokes and remain completely cool even when going full out. 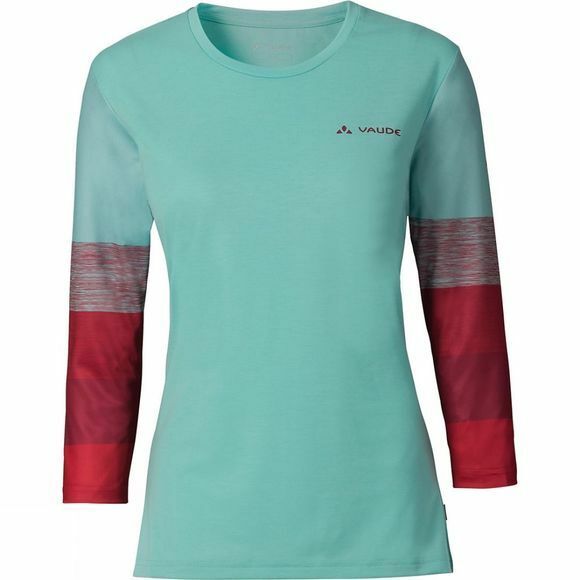 This performance shirt with round neck comes in a colourblock look with stripes on the sleeves. Green Shape is your Vaude guarantee for eco-friendly products – made from sustainable materials with resource-conserving and fair production.